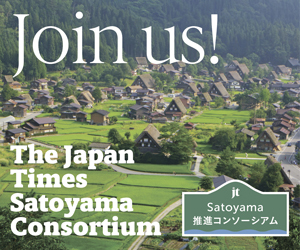 In a bid to strengthen its efforts to transmit relevant information, the Japan Times Satoyama Consortium recently signed partnership agreements with two Tokyo-based associations. The consortium, launched in January and headed by The Japan Times Chairperson and Representative Director Minako Suematsu, aims to promote the efforts of related parties engaged in rejuvenation of the country’s satoyama areas (rural communal woodlots that are shared and maintained by local residents). It has since organized various events, including symposiums, seminars and a study tour, in addition to running a series of articles, to introduce the latest developments in this field. On Aug. 8, The Japan Times signed a partnership agreement with the Japan Association of New Public to enhance collaboration and shore up mutual efforts to send out related information in the social sector. 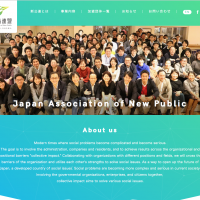 The Japan Association of New Public was established in October 2017. Its members are 105 organizations and individuals. The association, based in Tokyo’s Minato Ward, seeks to create action teams of nonprofit organizations and social enterprises, as well as strengthen the management capabilities of the social sector among other aims. Through what it calls “collective impact,” the association looks to “solve various social issues” in a time where social problems have become increasingly complicated and serious, by involving relevant parties, including governments, companies and residents. 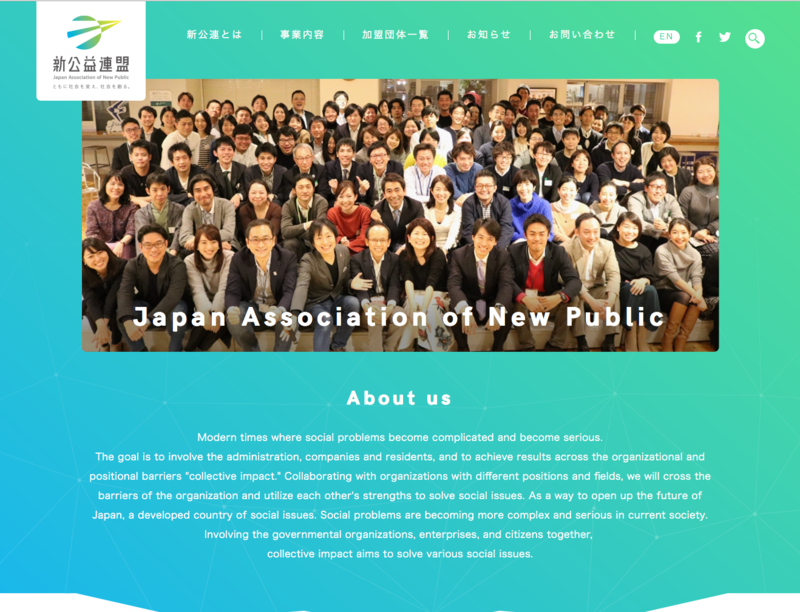 With the partnership agreement, the Japan Association of New Public is able to use various assets owned by The Japan Times to share its efforts as the two work together to solve social issues. “By tackling issues together with parties from various positions in society, we would like to promote our activities to accelerate the social advancement to the degree that it should be,” Representative Director of the Japan Association of New Public Haruo Miyagi (founder and CEO of nonprofit ETIC.) said in signing the agreement. Meanwhile, the Sharing Economy Association, Japan, was established in January 2016 to revitalize the country through the “sharing economy,” based on leasing, trading and offering fundamentals spanning places, vehicles, goods, people and skills. The association, based in Tokyo’s Chiyoda Ward, has over 250 members. Its three visions are to encourage people from everywhere to participate in the economic behavior in the society; activate new economic behavior, and strengthen economic development in Japan; and intensify the platform of the business environment for business operators and improve the protection system for platform users. On Sept. 5, The Japan Times and the Sharing Economy Association, Japan, signed a collaboration pact to boost transmission of relevant information of the efforts on the satoyama and sharing economy fronts. Much like the Japan Association of New Public, the Sharing Economy Association, Japan, hopes to tackle social issues in cooperation with the newspaper. “We’d like to promote changes of the times toward the sharing economy, which is based on shared use, not sole possession,” said Yuji Ueda, CEO of Gaiax Co. and one of the representative directors at the Sharing Economy Association, Japan. “We hope to promote value creation and share our activities to the world,” said Daisuke Shigematsu, the association’s other representative director and CEO of Space Market Inc. The Japan Times’ Suematsu welcomed the two signings with the organizations, expressing hope the collaborations will inspire synergy. Through the two partnership agreements, both the Japan Association of New Public and the Sharing Economy Association, Japan, became cooperating organizations of the Japan Times Satoyama Consortium without charge. As of Oct. 1, the consortium has 10 members in addition to 56 participating municipalities.